Through our Young Greens Standing Up! series, we have been covering Young Greens around the world seeking election. In this piece, Riwa Ghawi discusses the obstacles young people in her country face in running for office. A New Election Law in Lebanon: a way to preserve the ruling elite or a new opportunity for the Lebanese youth? 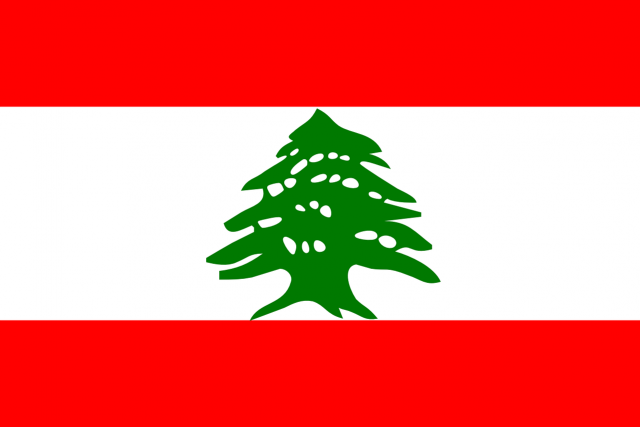 In June 2017, a new electoral law was voted in Lebanon, bringing an end to a parliamentary extension that lasted four years, making 2009 the last time the Lebanese people elected their representatives. Unable to oppose these parliamentary extensions, the Lebanese civil society brought its concerns to the streets. This move has however been ineffective over the last few years due to the limited power that the people have in Lebanon’s current system, showing an obvious flaw in a system adopted in 1960 which no longer represents the will nor the ambitions of the Lebanese people. Understanding why Lebanon still uses such a system requires some knowledge of Lebanon’s history. War-torn and drowning in debt, Lebanon emerged out of a 15-year civil war which not only destroyed its economy and infrastructure, but also its community. The war killed Lebanon’s unified national identity and instead bred sectarian identities in a community of people whom, having fought their own neighbors through 15 years of war , woke up one morning to realize their leaders (who shifted alliances countless times to ensure victory of their party and sect regardless of collaterals) had reconciled in the Saudi Arabian city of Ta’ef overnight, leaving their war-torn people to accept the consequences and get over their fear and hostility towards the other sects. Ever since, sects have been the basis of the electoral laws, which ensure the survival of the ruling elite and minimizes the possibility of new blood in the parliament. The 1960 law was designed to reduce inter-sectarian competition by allotting parliamentary seats according to religious sect, a policy with an obvious shortcoming: candidates must gain plurality of the total votes in every constituency in order to be elected, while all others are eliminated. The current parliament hasn’t changed in 8 years, and gives a clear image of Lebanon’s structure: the youth are sons and daughters of figures in the political elite; the others are MPs who have occupied their positions since the civil war (or soon after). However, external pressures (Irani support of the Shia, Saudi support of Sunnites, a Christian community torn between the 2 former groups, and a Druze community which has moved between them) have further divided the parliament, rendering it unable to elect a president, and resulting in a vacuum that lasted 2 years. With the country in limbo, the parliament agreed to elect current president Michel Aoun who came into office with promises to reform the electoral law, resulting in a breakthrough in June 2017 with a tentative agreement to institute proportional representation rather than the former majoritarian system. The previous majoritarian system presented a major obstacle to the youth or civil society participating in decision-making in Lebanon. People preferred to vote for leaders representing their sect, seeking their protection in a country governed by corruption and sectarian favoritism. As such, the only way to make it into the parliament in a majoritarian system was to join the ruling political parties and be nominated on their lists, making it impossible for independents or the youth to ever participate in the decision-making process. With President Aoun taking office, promises of reform were made by Prime Minister Saad Hariri (following the explicit corruption in the preceding government led by Tammam Salam) including a new electoral law which allegedly allows uncompromised participation. It was necessary to find a law which could gain the approval of the current parliament, which at the same time, sought to ensure its own survival. This created a dilemma which everyone had to pay the price for: the civil society, the Lebanese youth, and somehow also the current parliament; with more power given to the Shi’ite community and certain benefits to the Christians. In the new system, certain shortcomings may still manifest, limiting the reach of independent candidates. First, the sectarian psychology is so deeply embedded in the Lebanese mindset that voters find it harder to trust new blood than the leaders of their sects. This has been shown in the recent protests which caused Down Town to shut down, as a response to the garbage crisis in Lebanon. Although everyone agreed that the ruling elite’s corruption had resulted in the garbage crisis, sectarian divisions still dominated the protests. As a result of this mindset, candidates who are independent from the ruling parties, or those representing civil society, will find it harder to gather votes based on their qualifications or action plans than those who are backed up by a political party and can automatically get the leaders of their sect’s support. Second, a major change seen with the new electoral law is the limitation to one list. While the 1960 law did not limit the number of lists cast into the ballot boxes, allowing voters to cast as many candidate names as they want, the new law only allows casting one list, so if two names exist on 2 different lists, the voter will have to choose which to vote for. This limits the chances of those not allied with powerful candidates to make it into the parliament. And third, as seen in the municipal elections of Beirut last year where the ruling elite created one big coalition (the Beirutis list) to oppose the list of the civil society (the Beirut Madinati list), the ruling elite isn’t friendly to new-blood and would rather form coalitions with their political opponents than accept the civil society participation in the decision-making process. So how does this affect the chances of Lebanese youth in achieving change? 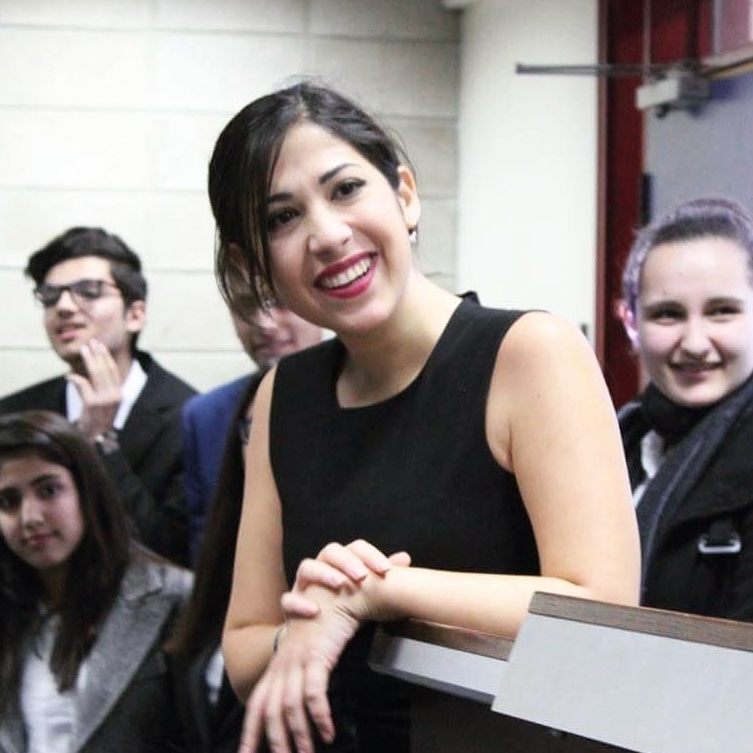 The main question Global Young Greens asked me was not whether the new electoral law is fair or representative of the voters, but rather what stops me, a 25-year old Lebanese female living in Beirut, from running as a candidate to the parliamentary elections. Although I grew up in a politically-fueled environment, I was also too aware of the corruption surrounding me and the insignificance of the sectarian divisions that always seemed to create differences between me and the others, despite there being none. I soon shifted from the political views of my community, family, and region of residence (yes, political inclinations can even be guessed through areas of residence, mainly based on the areas of conflict during the civil war) into a line of thinking which considers all people equal regardless of their sect or background, and focuses on objective targets which benefit all people alike. I found that line of thinking in the Green Party of Lebanon, and by the age of 25, was elected the head of their youth political bureau. When contacted by the Global Young Greens about the possibility of running as a candidate for the parliamentary elections, I reflected on the reasons I couldn’t, which until that point, I had taken for granted, without really thinking about the possibility to break that boundary. I waited for the new electoral law to pass, to know how my possibilities would change. However, even with the change in law, these chances are still slim. Firstly, in Lebanese elections women have little chance to make it into the parliament. This is mainly the result of a deeply-embedded patriarchal mentality which still runs some communities, to which the women quota is a preliminary solution to. This mentality has resulted in a Lebanese parliament with only 4 women in it: a politically supported woman with very minor participation, the wife of a party leader, the sister of an assassinated former prime minister, and the daughter of a former political figure who was later assassinated. Second, with the single list limit, voters will be more inclined to cast their votes for the one list holding the names of the leaders of their sects who will be allied on one list, rather than to post a list with less popular names with a strong agenda. The only way to break this would be either to get the political support of a dominant party (thus associate my name with a party protecting my sect, and speak their words and their agenda) and get their consent to include my name on their list; or to create an independent list that can break the 10% vote boundary, which takes us back to the initial problem of political alliances meant to protect specific sects. The solution most of us, who refuse to be politically allied with sect leaders, prefer to opt for is that of making our voices heard through the civil society, and perhaps through them, be able to create a powerful list, which can start with a minority of seats in the parliament and somehow begin its influence from there. The names on that list would be very few of those with previously gained fame, which may, somehow, get them enough votes to face a political elite with a vast majority of the voters, who vote out of fear of the other sect. From here, and with the new law, participation would be tested and grounds would be considered for the possibility of successful participation in the elections of year 2022, in a community that is slowly becoming more aware of the toxicity of sectarian division, and progressively but reluctantly considering alternatives.